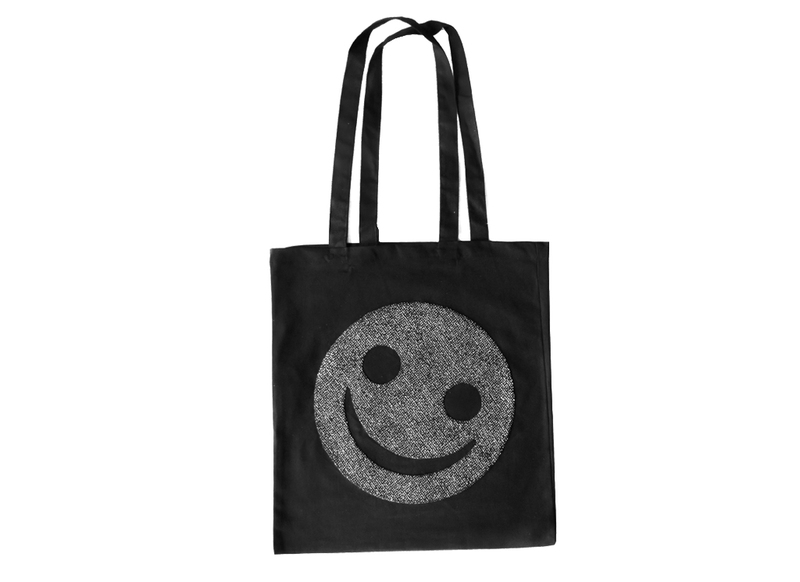 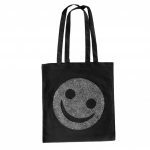 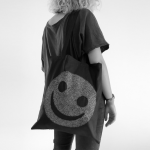 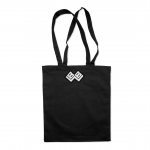 Black canvas tote bag with a glitter Smiley patch. 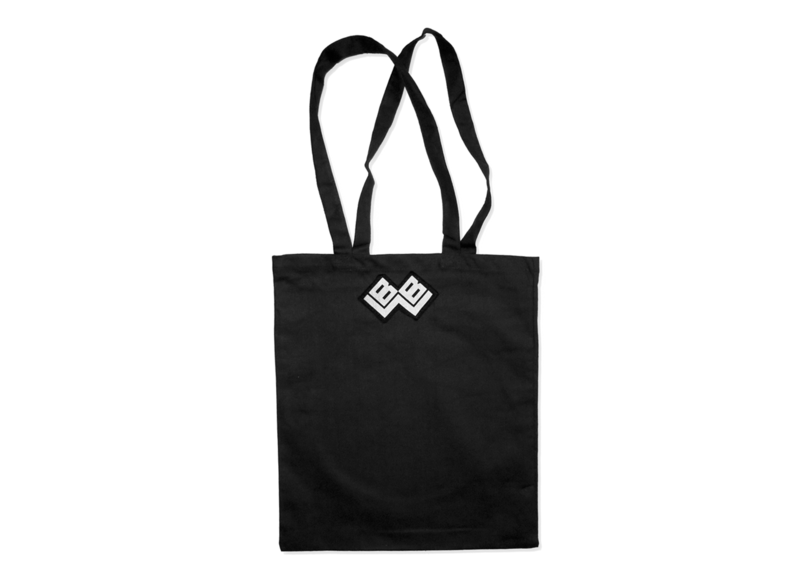 Long handles make it easy to carry and sling over your shoulder. 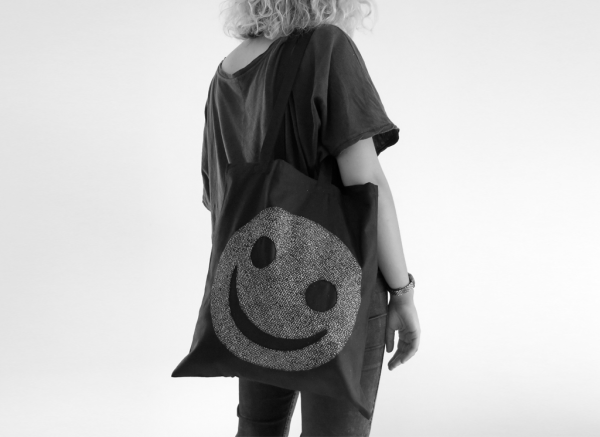 The patch is hand cut. Its texture is coated with black and silver glitter. 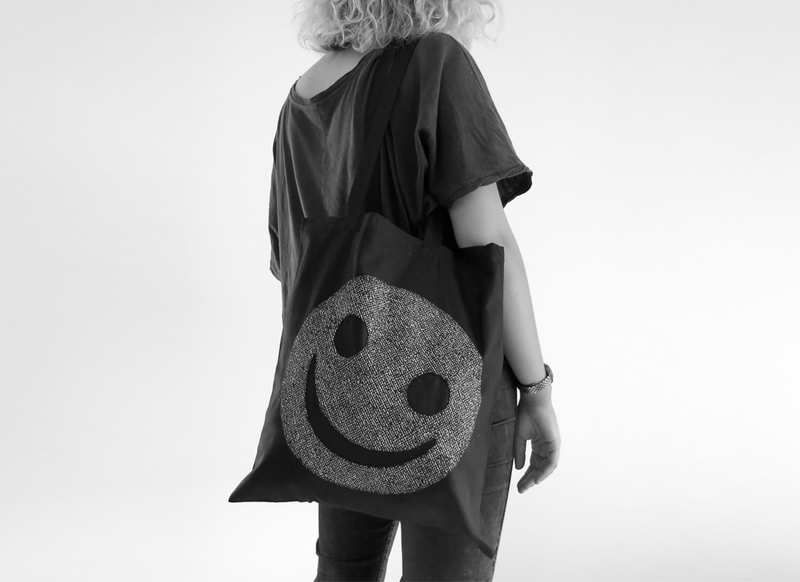 There is also a second patch with our logo sewed on back side of bag. 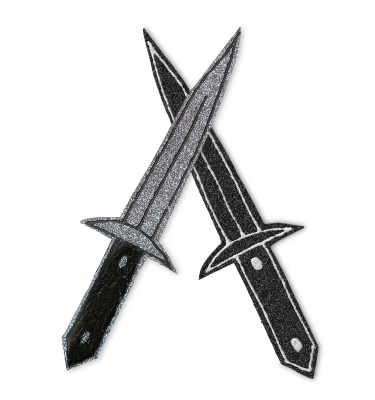 The patches are applied individually so please allow some minor variation in each finished product. 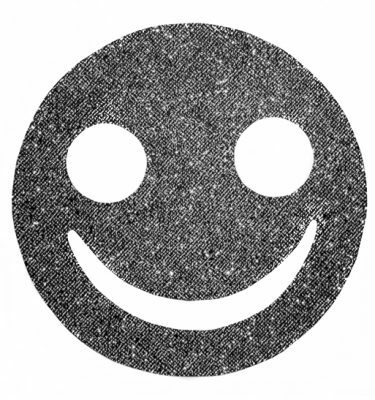 Hand wash 30°C and iron inside out.